Regardless of what kind of vehicle you own, any automotive fan who owns at least one car, truck or SUV probably wants to keep it looking and running like a dream for as long as possible. While keeping your vehicle’s engine healthy is an important step in this process, the next best way to keep your vehicle in pristine condition is assuring that its tires are healthy. While you may be aware that your tires should be replaced when they have little to no tread or when the cords are showing, are you aware that your tires can rot like an old piece of fruit? Unlike other forms of rot that cause decay in everyday items like wood, clothes, aluminum and even food, tire dry rot is not caused by something organic that causes the decay to spread. Instead, tires are much like our bodies that need to be used. Much like bodies that experience a lack of activity for long periods of time, vehicles and tires that are parked for an extended time begin to break down. In tires, the wax that is used to make these vital automotive parts flexible becomes hard and brittle, causing cracking. Tire Fade: If your once black tire begins to look like an older person with specs of gray in their hair, this may be the first warning sign of tire dry rot. Brittleness: Like your hands during a harsh winter, dry rot dries out the tires. As essential wax and oils seep out of your tires, these large pieces of rubber begin to look and feel more brittle. If this continues, you may even notice pieces of rubber breaking away from the tire. Wobble: In more progressive cases of tire dry rot tread cracking and separation can begin to occur. When this happens, you will often notice that your vehicle’s steering wheel will begin to wobble when driving at low speeds. For the most detrimental cases, it will feel as if the whole car is shaking. To find out more about what tire dry rot looks like, take some advice from our friends at Gibson Truck World. If your tires look like this, have your tires assessed by a professional to determine whether it is time to replace. Other than age and lack of movement, why do tires begin to rot? There are a variety of factors that can contribute to premature tire dry rot. Photodegradation: Ultraviolet rays, produced by sunlight, can cause the rubber to deteriorate. This process, called photodegradation, causes parts of the rubber to weaken and even melt away. This may sound a bit frightening as there are not many easy ways to escape the sun, normal amounts of sunlight are not harmful, but parking your vehicle for extended periods of time in sunny places like Florida and California can cause premature decay. Pollution: As air pollution continues to increase throughout this country, the chemical bonds in your vehicle’s tire rubber begin to break down, resulting in tire cracking. Parking a vehicle near electrical equipment; like a furnace; that produces various types of ozone gas can also result in advanced tire dry rot. 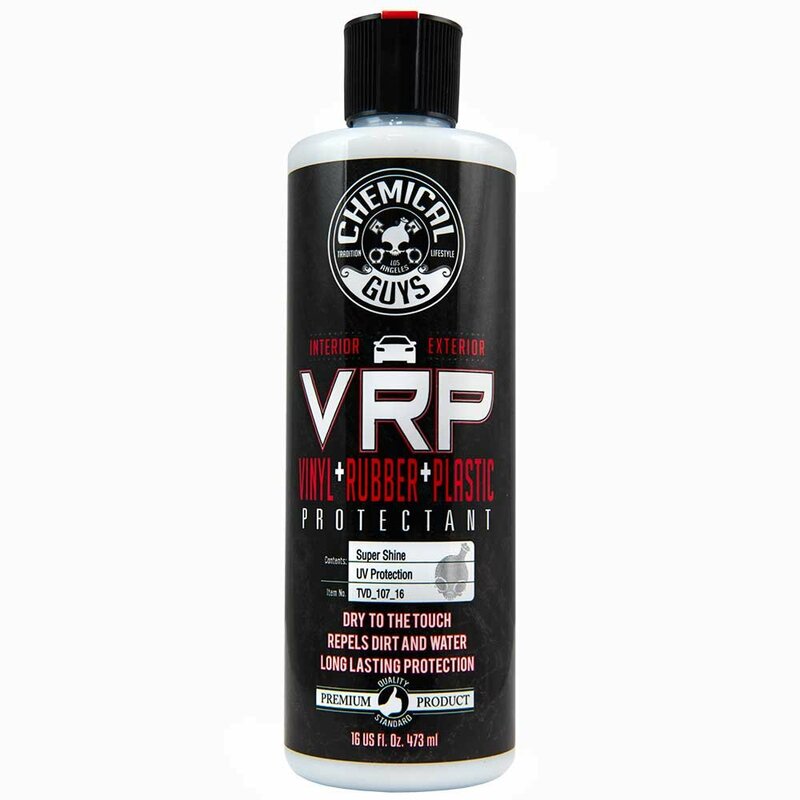 Abrasive or Corrosive Chemicals: Certain chemicals such as motor oil, industrial cleaning solutions as well as petrochemical-based tire cleaners can strip your vehicle’s tires of their wax protectants. Once this happens, the fungus that causes dry rot sets in and begins to eat away at the rubber. Like running shoes, which keep your knees, joints safe while running down the road, the sneakers of your car keep your vehicle safely moving down each road that you choose. Tires that are experiencing dry rot will begin to lose air pressure quickly. Due to cracks in the tread or sidewall, air can begin leaking and even open suddenly with no warning, causing a tire to blowout. Sidewall cracks can also turn into rips that separate the tire from the rim. Since a tire’s sidewall absorbs much of the impact from the road if a tear happens it is most likely to occur at the worst possible time, like driving down the highway at 80 MPH. Although there is no way to bring tires that have begun the dry rotting process back to life, there are ways to extend the life of both your car and tires in a few easy steps. Anytime that you buy something used, you are taking on abuse from the previous owner. If you decide to take on previously owned tires, remember that you are risking the use of older tires that may have been exposed to the major causes of decay. Most chemicals of this nature contain chemicals and silicone that will dissolve the wax protectant as well as the antioxidant added by the tire manufacture, which leaves your tire exposed to dry rot. Like anything else, if you don’t use it you just might lose it. The same can be said for your tires. This is even true for classic cars that are often transported from museum to car show using a specialized tow service. Tire manufacturers add compounds to tires that protect against things like ozone damage or weather cracking the compounds. In order to work, these compounds must work toward the tire’s surface, which means that tires need to be rolling, flexing, and heating up. To extend the life of your tires, it is important to keep each one inflated to the pressure recommended in the owner’s manual. Improper tire pressure can cause uneven wear and aid to quicker deterioration, especially if your car is being stored. To avoid damage caused by outside elements, store your vehicle, and its associated tires, inside. It is also best to avoid parking your car on asphalt, petroleum-based surfaces or frozen ground as each will speed up the dry rot process. By applying a water-based tire protectant each month, your tires can receive the protection that they need from harmful UV rays as well as other contaminants that will ultimately lead to premature rotting. Anyone who owns a vehicle that they both enjoy and that helps them lead their everyday lives, should aim to keep both it and its valuable parts operating at their peak for as long as possible. This includes the all-important tires, which are the most basic piece of automotive equipment that keep you moving from point A to point B. If you want your tires to keep you rolling for many years to come, don’t let them rot! Instead, take heed to the advice given and you just might find a way to reverse the aging process and stop tire dry rot in its tracks!